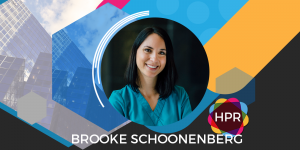 Guest Bio: Brooke Schoonenberg is a registered dietitian and nutrition services supervisor at Woman’s Hospital. She graduated with a Masters in Human Nutrition and Food from Louisiana State University in 2011 and completed her internship at Tulane University in 2013. Brooke provides medical nutrition therapy to patients with various medical conditions, such as hypothyroidism, insulin resistance, and obesity. Brooke currently serves as president for the Baton Rouge Academy of Nutrition and Dietetics. Segment Overview: Brooke Schoonenberg, a registered dietitian, discusses the results of a recent Harris Poll where health professionals cite that only a small percentage of patients are able to get the weight off and keep it off, mostly due to our busy lifestyles and electronic distractions that keep us from being more active. Neal Howard: Hello and welcome to the program. I’m your host, Neal Howard here on Health Professional Radio. Thank you for joining us. Our guest today is joining us to talk about a recent Harris Poll where health professionals cite that only a small percentage of patients are able to get the weight off and keep it off. 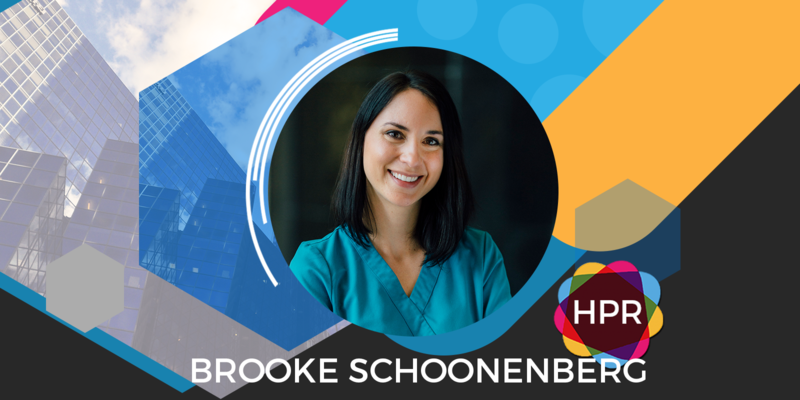 Our guest is Brooke Schoonenberg, a registered dietitian and nutrition services supervisor at Women’s Hospital in Baton Rouge Louisiana. Welcome to the program and thank you for taking the time, Brooke. Brooke Schoonenberg: Thank you for having me, Neal. N: So this Harris Poll, first give us a little background about yourself, what do you do there at Women’s Hospital, what kind of brief a day in the life of and then we’ll jump right into this Harris Poll that was conducted, talk about how your healthcare professional colleagues you were involved. B: Of course so I’ve been at Woman’s Hospital for going on 4 years now, acting as a registered dietitian and a supervisor. Essentially what I do is I counsel patients every single day. Majority are weight loss patients but then we also see disease specific populations like diabetes, gastrointestinal disorders. I also see patients in a weight loss surgery clinic so sort of a jack-of-all-trades I guess you could say. This poll, definitely near and dear to my heart because I work with these people and when you said that so if you were able to keep it off I feel like unfortunately it’s something that I see often. So the Harris poll was conducted in fall of last year. It was a thousand adult and a thousand health care professionals here in the United States. I think the key finding was essentially that it’s harder to lose weight than it’s ever been before. They were hoping to delve into that and figure out why that is. N: I mean I’ve been hearing that for a while and not to date myself but back in the 70s we were talking about how hard it is to get weight off and keep it off. Why were the results of this particular poll surprising to you if they were? B: There were a few things that were surprising, a few things that weren’t. Of course, they said that in general were probably as Americans in general and so not to say everyone’s doing this but in general, we’re eating more and not only eating more but just eating more of not the right types of food, moving less and then I think to the things that they really focused on, that makes it different now versus 10, 20 years ago is the screen time. Televisions have been around forever but now we have streaming services that you can sit and watch television for hours on end, you can sit on a tablet and sit on a cell phone, social media and then all the on-demand services so to speak – online shopping, meal delivery, all of these convenience type of things that we’ve had to come up with because we’re so busy now. It’s almost working against us. It’s like you’ve got work-life demands. How do you raise a family, how do you have a full-time job and still be healthy and then you have all these other things that are just contributing to more sedentary behavior basically. N: Is it harder for people to talk with their doctor about weight loss than it is for so many other things that you come to the doctor for with so much information out there and everywhere you turn we’re talking about obesity and diabetes and eating right? Why do you think the conversation is such a difficult one if that is your experience and if it’s not your experience talk about someone who maybe you’ve talked with that it is their experience? B: That was actually one of the things about the survey that did surprise me was they said even though almost half of all Americans are trying to lose weight, of those folks hardly any of them talked to their doctor about their weight loss attempts. Primarily, because they don’t see weight loss as a medical issue. When if you’re a health care professional you know it is absolutely a medical issue because it’s one thing if you are what we call like a healthy overweight or a healthy obese but eventually you know you may develop an obesity related disease – it could be diabetes, it could be heart disease, it could even be cancer. We’re learning more about that now. That was one of the things that just shocked me honestly. I feel like it’s half and half, some of the people that I see that I’m counseling, their doctor sends him over here, but to be honest a lot of the patients said, “I had to ask for this.” I said, “Hey. You know I want to lose weight. How do I do this?”, and they have led me to believe that maybe their doctor didn’t say anything and then when they asked for help then the doctor referred them over to me which is fantastic. At least they’re giving them a solution but I don’t want to put all the physicians or all healthcare professionals in a box because I’m not saying that but I feel like I don’t know, is it taboo for us to talk about weight? Are we worried about people’s reactions? I’m not sure but I feel like the conversation needs to happen. We know that because obesity is an epidemic, it’s not going anywhere. N: Well, in talking with so many healthcare professionals I’ve come to understand that nutrition isn’t something that is touched on in med school a lot if at all. If that is the case and I have no reason to believe that it’s not from talking to so many of you, is it possible that the taboo for lack of a better term, on weight loss conversations is attached to the nutrition if you don’t see nutrition as important maybe you don’t see weight as important because it’s not causing you to have to do surgery or something like that. Maybe addressing some of these things in med school would make for better outcomes for the patient. B: I think that that’s one of the things that they’re figuring out, how important nutrition is to living a healthy lifestyle. I know down here, I’m in Baton Rouge and I know in New Orleans at Tulane they actually have a program, a culinary food program that a lot of the residents are starting to take if I’m not mistaken. I feel like that’s the kind of stuff that we need these doctors to get more involved with because if you can prevent rather than treat, I mean there’s nothing better than that. But if you do have a patient that’s overweight or you do have a patient that’s obese, trying to use food as medicine to me is huge. N: What would you say is a good weight loss plan? The basics, I know everybody’s individual weight loss plan has to be tailored to them, nutrition physical, medical things of that nature but what would you say is one of the some of the basic things for successful weight loss program? B: You gotta take the three basic things – good and healthy eating, exercise and not just exercise just moving more throughout your day whether it’s formal activity or informal activity and then education. Educate yourself about what is healthy eating, what is exercise, what are the benefits. If you’re constantly inundated with that information I feel like you’re more likely to follow through with those behaviors and to tie those three things in together I think an accountability source is huge for most people. If you’re trying to lose weight and you don’t want to give up then having someone to talk things through with is important and that’s where I think the healthcare professional comes in no matter who it is. If you have a patient and you have someone to share your journey with, that to me is the saving grace of anyone who’s trying to lose weight. N: Where can our audience go and get a little bit more information on this latest Harris Poll talking about weight loss and some of the the pitfalls of trying to keep it off and maybe some information on your practice there at Baton Rouge, Women’s Hospital there. B: If you want more information on the Harris Poll findings you can go to weightlossfindings.com. Again that’s weightlossfindings.com and if you want to come visit me down here we’re in Baton Rouge, Louisiana at Woman’s Hospital and I’m actually at the wellness facility that’s an off-site location and you can reach us at 225-924-8313. N: Great. Brooke, it’s been a pleasure. Thank you so much for taking the time and I’m hoping to talk with you again sometime. B: Absolutely. Thank you so much. N: Thank you. You’ve been listening to Health Professional Radio. I’m your host, Neal Howard. Transcripts and audio of this program are available at healthprofessionalradio.com.au and also at HPR.fm subscribe to this podcast on itunes. Listen in and download at Soundcloud and be sure and visit our affiliates page at HPR.fm and healthprofessionalradio.com.au.